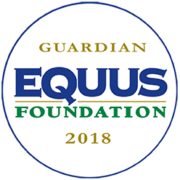 Received “Guardian” Status Through the Equus Foundation! 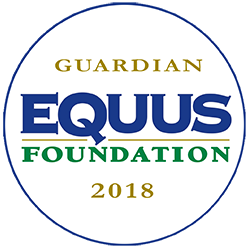 After many hours of work and research, we are very excited to announce that Haven Acres has received the Guardian Designation from the Equus Foundation! The Equus Foundation says that “Guardians are organizations on the Equine Welfare Network that demonstrate a commitment to public transparency by their willingness to publish and share extensive data about their programs, horse care practices, and governance.” In order to qualify, we had to revise and write (many) policies, post emergency preparedness signage, and fill out pages of information on how we care for our horses. We’re so thankful for this opportunity as it opens up doors for potential funding in the future! http://havenacresmn.org/wp-content/uploads/2018/06/33902490_1019673944855946_5335509374989238272_n.png 248 250 Holly Graffunder http://havenacresmn.org/wp-content/uploads/2017/12/WEBSITELOGO-300x138.png Holly Graffunder2018-06-04 09:23:062018-09-18 10:26:48Received "Guardian" Status Through the Equus Foundation! Wanted: Summer Volunteers Best Round Up Ever!